Timed auction. Auction closed. Number of lots: 350. Saucer on footring, spreading four-lobed rim. On the base five spur-marks in a X-pattern. 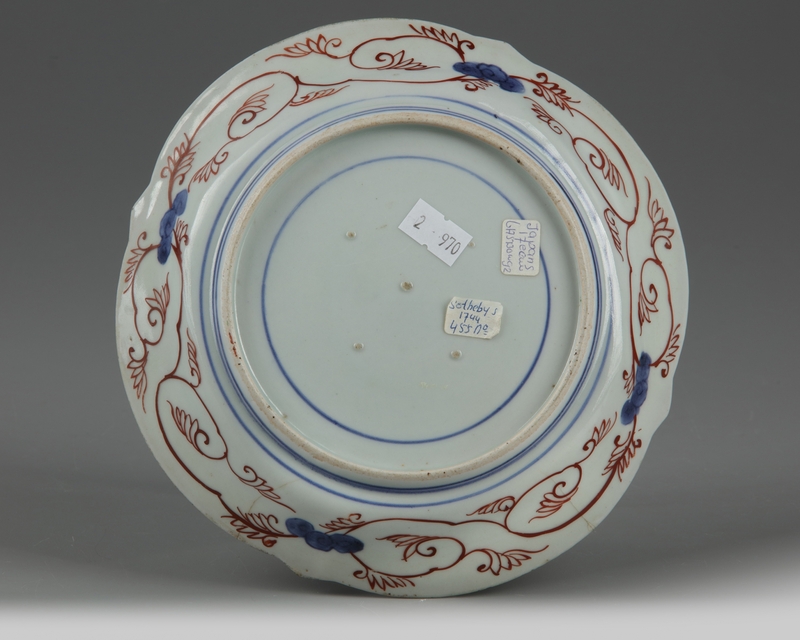 Decorated in underglaze blue and green, yellow and red enamels. In the centre two fishermen in a boat. The sides and rim have four large shaped panels, two with a stylised flower motifs, two with a man in a landscape, stylised flowering plants between. 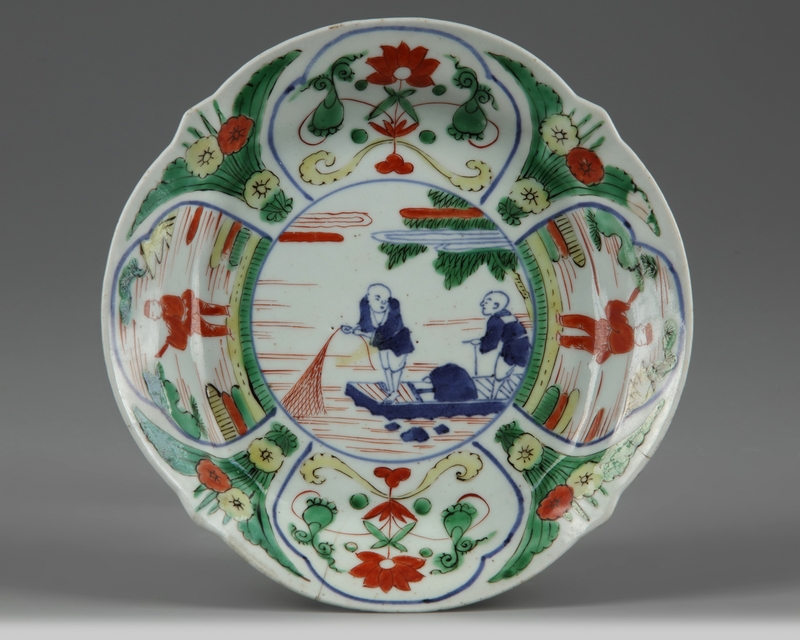 On the reverse four cloud-motifs in underglaze blue connected by foliate tendrils in red.